Our Grosse Pointe cosmetic dentists offer patients numerous options for improving the look and feel of their teeth and smile using state-of-the-art cosmetic techniques. These advanced cosmetic dentistry procedures are performed by cosmetic dentist Jeff Jaskolski DDS — right in our Grosse Pointe dental office. Nothing is more frustrating than trying to hold back a smile because you don’t want others to see your stained or discolored teeth. 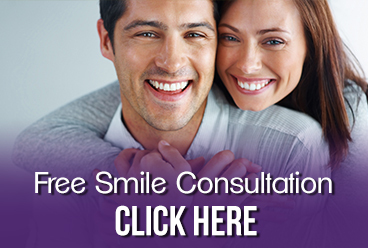 Today’s modern cosmetic dentistry techniques performed by our experienced Grosse Pointe cosmetic dentist provides you with numerous options for enhancing your smile. Teeth whitening remains one of the most popular cosmetic procedures used to make teeth whiter, brighter and more attractive. Bleaching can also be used to whiten stained and discolored teeth, or simply to enhance a dull smile. Either way, teeth whitening is a safe and relatively painless procedure that is ideal for most patients. Learn more about teeth whitening here. The Grosse Pointe cosmetic dentistsat care about your oral health — offering beautiful and healthy porcelain inlays and onlays to their patients in Grosse Pointe MI. Inlays and onlays are used in place of traditional metal fillings that can shift or crack, leaving you vulnerable to bacteria and further decay. Learn more about inlays and onlays here. Snap-On Smile provides Dr. Jeff Jaskolski with an easy and pain free treatment to help patients achieve a beautiful smile. This process was invented by a dentist who realized that not everyone can afford thousands of dollars to get a Hollywood smile make-over. Learn more about Snap-On Smile here. Veneers are a widely used cosmetic dental procedure in which our Grosse Pointe cosmetic dentist places a covering over the outside, visible area of the tooth. Porcelain veneers are usually only applied to teeth that will be visible when a patient is talking or smiling. Learn more about porcelain veneers here. Lumineers are thin porcelain veneers that are used by the Grosse Pointe cosmetic dentists at — offering patients a painless option for creating permanently whiter teeth and a perfectly aligned smile. Our Grosse Pointe lumineers dentist can apply these to your teeth without drilling or shaving, giving you a naturally whiter smile. Lumineers can also be placed over existing bridges and crowns. Learn more about lumineers here. Conveniently located on the Northeast side of Metro Grosse Pointe, we provide cosmetic services to Grosse Pointe, Warren, Roseville, St. Clair Shores and all other nearby areas. Contact our office or call us directly at 313.882.4970.